Continental has won the Innovation and the Green Award both at the international trade fair Automechanika 2016 for its "Taraxagum – Dandelion Rubber Tires" project. With these awards, experts at the automotive service industry trade fair recognized the research and development work of the Hanover-based company, which is making long-term plans to produce some of the rubber used in both its tires and other rubber products from the roots of the dandelion plant. By cultivating the Russian dandelion close to the Continental plant, the distances over which the rubber must be transported become much shorter and the resulting CO2 emissions are significantly reduced. In doing this, Continental also hopes to become a little less dependent on developments on the global rubber market. "We are delighted to receive these accolades," says Maria Hanczuch from the Continental Business Development for Passenger and Light Truck Tires business unit, who was in Frankfurt to accept the award. "Our Taraxagum project demonstrates one aspect of the material development involved in the tires of the future. We are working both on improving our products' technical performance and on making the tire compound and its production process significantly more sustainable." Continental began work on the development of "Taraxagum" in collaboration with the IME Fraunhofer Institute, Münster, the Julius Kühn Institute, Quedlinburg, and plant breeding expert ESKUSA, Parkstetten, around five years ago. Russian dandelion was cultivated in a way that would enable its long-term per-hectare production in similar quantities to the traditional rubber tree, the "Hevea brasiliensis", from the tropics. Continental has also developed new production methods that allow the natural rubber required for the production of tires and other rubber products to be extracted from the latex sap of the plant. Initial batches have already seen the production of passenger car winter tires, commercial vehicle tires, and engine mounts using this "Taraxagum" rubber. Tests carried out at the corporation's own test sites prove that the dandelion rubber performs at least as well as traditionally extracted natural rubber in equivalent standard products. The plants can also be cultivated in Northern and Western Europe. Therefore, long transportation routes can be avoided. These routes previously had to cover the distance from the "rubber belt" in the tropics 30 degrees north and south of the equator. This saves valuable resources and reduces CO2 emissions. Continental recently announced the construction of a research facility in Anklam, Mecklenburg-Western Pomerania, for the production of rubber from the latex sap of the Russian dandelion and plans to invest around €35 million in this new location by 2021. The institutes and companies involved in the project have already received internationally recognized prizes and awards for the advances they have made. 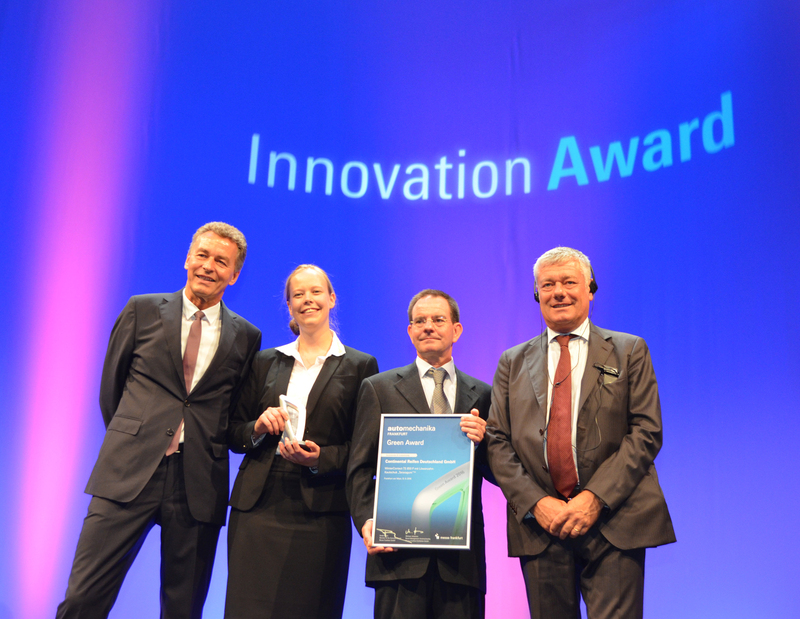 In 2014, for example, the project received the "Green Tec Award", and in 2015 the research team was awarded the Joseph von Fraunhofer prize from the Fraunhofer Society.